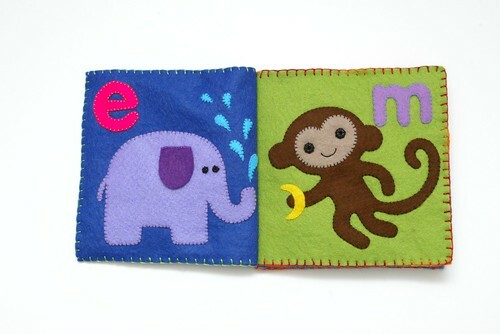 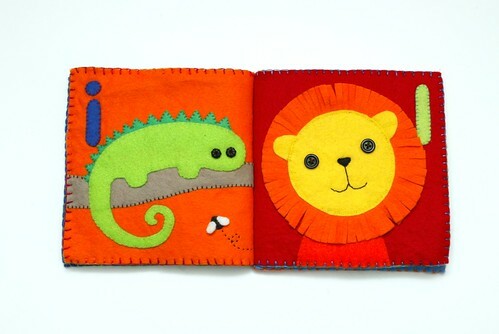 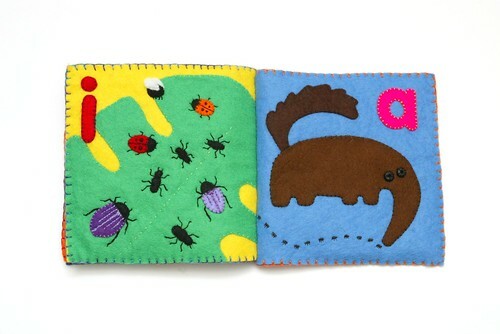 In the interests of fairness between siblings, I have been making my niece, Emilia a felt book for her first birthday. 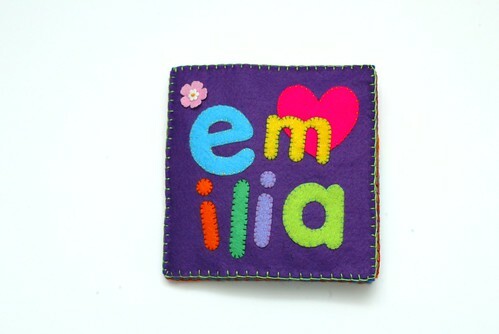 This one was quite tough to make – it would appear to be surprisingly difficult to think of things that begin with certain letters that are appropriate for this kind of thing and that make the right sound phonetically – especially as Emilia’s sister Alice already has her own book, so I couldn’t double up on any of the ideas! 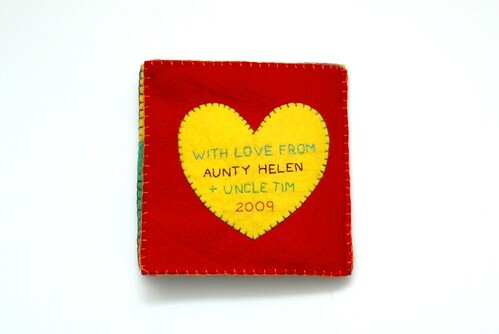 I put plastic from old carrier bags in the covers so they sound all crinkly when you move them.